In what seems to be an industry first, Asia Powercom has launched a new surge protector which not only has regular power ports but also has dual USB ports. Asia Powercom, manufacturer of power protection components which is a division of Powercom Co. Ltd, today launched AsiaPower Surge Protector with dual USB charging. The surge protector provides surge free power to your electronic equipments. The USB charging can be used for smartphone, mobiles, tablets, MP3/MP4 players, PSP, Powerbank, etc. 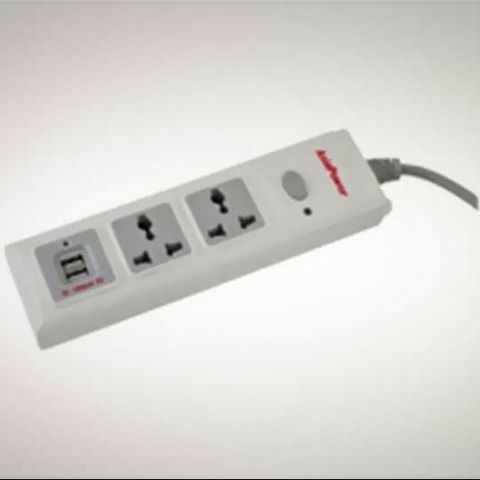 Tejas Sheth, Country Manager, India at Asia Powercom was quoted saying "Our Asia Power Surge protectors are designed to not only provide multi sockets/ports but also to protect the electronic equipments including gadgets. The powerful protection from surge and lightning, overload and short circuit. With USB charging & universal electric sockets and an all-in-one package to carry conveniently anywhere." These surge protectors come with a warranty period of 1 year and available ex-stock.